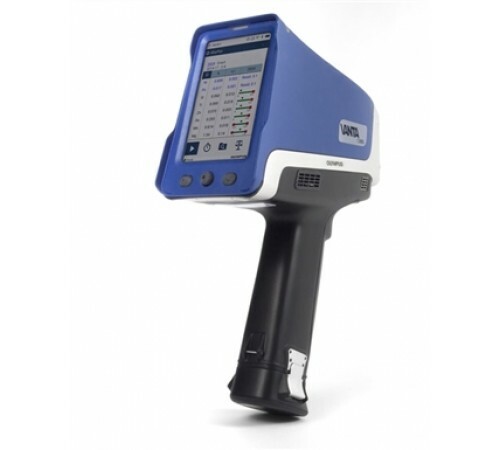 OLYMPUS VANTA HANDHELD XRF Common Process for Testing The Vanta analyzer is our most advanced handheld X-ray fluorescence (XRF) device and provides rapid, accurate element analysis and alloy identification to customers who demand laboratory-quality results in the field. 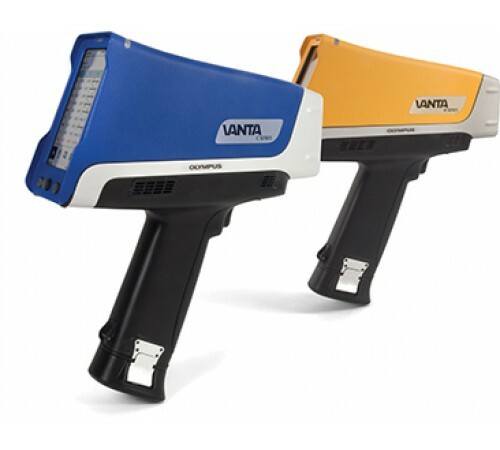 Vanta handheld XRF analyzers are built to be tough. Their rugged and durable design makes them resistant to damage for greater uptime and a lower cost of ownership. With intuitive navigation and configurable software, the Vanta series are easy to use with minimal training for high throughput and a fast return on investment. Featuring innovative and proprietary Axon technology, Vanta analyzers give you accurate results and help boost productivity no matter the environment or working conditions. 1. Exceptional durability under extreme conditions. 2. Analytical superiority. 3. Optional Wireless LAN and Bluetooth® for real-time data sharing. Cloud technology enabled. 4. Intuitive user interface.Vanta Specification: Dimensions (W x H x D) 8.3 x 28.9 x 24.2 cm (3.25 x 11.4 x 9.5 in.) Weight 1.70 kg (3.75 lbs) with battery, 1.48 kg (3.25 lbs) without battery Excitation Source 4-Watt X-ray tube with application optimized anode material (rhodium (Rh), silver (Ag), or tungsten (W)) M Series (Rh & W) and C Series (Ag): 8-50 kV C Series (Rh & W): 8-40 kV Detector M Series: Large area Silicon Drift Detector C Series: Silicon Drift Detector Power Removable 14.4 V Li-Ion battery or 18 V power transformer 100-240 VAC, 50-60 Hz, 70 W max Display 800 x 480 (WVGA) LCD with capacitive touch-screen supporting gesture control Operating Environment Temperature: -10 °C to 50 °C (continuous duty cycle with optional fan) Humidity: 10% to 90% relative humidity non-condensing Drop Test Military Standard 810-G 4-foot (1.3 M) drop test IP Rating IP65*: dust tight and protected against water jets from all directions Pressure Correction Built-in barometer for automatic altitude and air density correction GPS Embedded GPS/GLONASS receiver Operating System Linux Data Storage 4 GB embedded storage, micro SD slot for expandable storage USB (2) USB 2.0 type A host ports for accessories such as Wireless LAN Bluetooth®, and USB flash drives. (1) USB 2.0 type mini-B port for connection to computer Wireless LAN Supports 802.11 b/g/n (2.4 GHz) via optional USB adapter Bluethooth Supports Bluetooth®and Bluetooth Low-Energy via optional USB adapter Aiming Camera Full VGA CMOS camera Panorama Camera 5-megapixel CMOS camera with autofocus lens ..
1. Exceptional durability under extreme conditions. 3. Optional Wireless LAN and Bluetooth® for real-time data sharing. Cloud technology enabled.